A military plane carrying Army Spc. Joseph P. Collette’s body arrived Wednesday morning at Rickenbacker Air National Guard Base in Columbus. 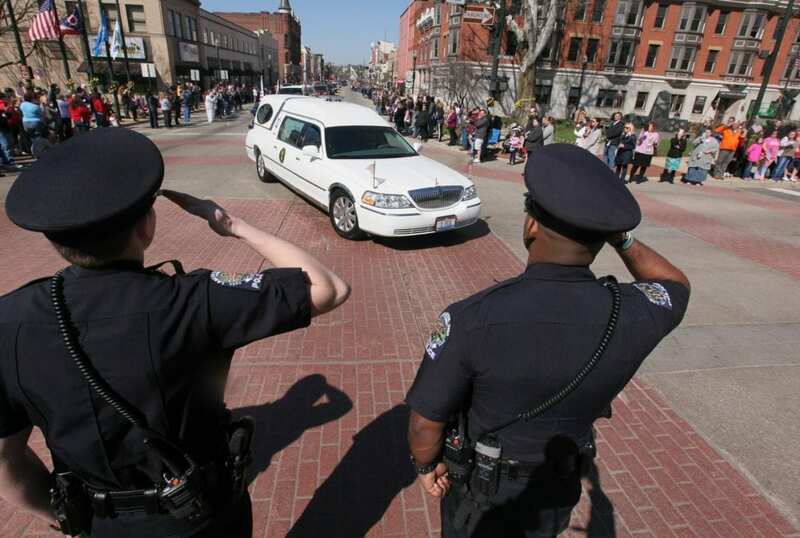 A motorcade then proceeded to his hometown of Lancaster. Onlookers lined the streets to honor Collette as the motorcade passed through the city roughly 30 miles (48 kilometers) southeast of Columbus. The U.S. Department of Defense says Collette died March 22 of injuries received from enemy fire during a combat mission in Afghanistan’s Kunduz province. He was assigned to the 242nd Ordnance Battalion, 71st Explosive Ordnance Disposal Group, based in Fort Carson, Colorado. Visitation will be Thursday at Faith Memorial Church, where a funeral service will be held Friday morning. Be the first to comment on "Military Returns Body Of Soldier Killed To Ohio"